With haunt season officially upon us, the team here at All Hallows’ Haunts kicked it off by visiting Universal’s Halloween Horror Nights. Now because we had different views and thoughts on the event, we decided to list each of our opinions on the event. Below you will see the opinions of AHH members Andy Shultz (@Andy1701) and Lola Tarantula (@Lolatarantula). Andy- Going into HHN I wasn’t too excited about The Purge Scare Zone. Universal has used The Purge as its main Scare Zone the last few years and it gets rather repetitive, so I was expecting to see the same thing as before. Though, I am rather happy to say that I really enjoyed it this year. Universal made the choice of having only one theme throughout all its Scare Zones, and I think it really worked. It would be interesting to see how it grows in upcoming years. Lola- I didn’t enjoy this year’s Scare Zone theme very much. I will say that The Purge functions better as a haunt theme than a film, but still after several years of The Purge, I’m just over it. It’s the same stuff you’ve seen for the past several years, and nothing else. I will say that in the upper lot there is a part of a scare zone that’s basically a maze but without a wait. This part is actually kind of neat. There’s some weird art projects made from old doors, spray paint, and trash heaps. If you get a chance, walk through it. Other than that one exceptional part, I think this theme has overstayed its welcome. Andy- The Terror Tram in the past has always been hit or miss with me. Still, I’m a fan of Eli Roth’s work and I was really looking forward to seeing how this evil clown infused Terror Tram would stack up. I left the Terror Tram very disappointed. I thought there were quite a few operational issues. I noticed in two main areas of the Terror Tram: 1) They chose to use shipping containers as tunnels, which caused the lines to back up and bottle neck as only a few could walk through at a time. 2) They crammed way too many people down there at one time, which made the usual 15 to 20 minute experience more like 40 minutes, but not in a good way. To make things worse, we had to wait almost 20 minutes at the end for a tram to pick us up. Lola- As usual, the Terror Tram is the worst attraction at HHN. I had hoped that Eli Roth’s influence would be enough to transform the generally lackluster Terror Tram into something different. However, I think this year’s Terror Tram is among the worst I’ve ever seen. Like Andy said, the way the route was layed out caused major foot traffic, which made it take way longer than it ever has before. Not to mention, there’s nothing unique about the creepy clowns. By the time we got to the end of the trail I was one cranky spider. Andy- I really enjoyed this maze. I know most people don’t want to think about Christmas this time of the year, but with the added horror of Krampus, it was a lot of fun. Now, I haven’t seen the film yet, so I can’t really compare the film to the maze, but it was really cool walking through this house that’s being terrorized by a monster over the holidays. My favorite thing about the maze was the use of scents in each room. Some rooms smelled like ginger bread, or vanilla, and even Christmas trees. Yet, it wouldn’t be HHN with out some of the burning disgusting smells as well. Overall, the maze is fun and now gives us a good excuse to extend Halloween all through Christmas. Lola- I’m a fan of the Krampus film and the maze definitely captures the spirit of the movie. My favorite part of this maze, besides the smells, is seeing the toys in the attic come to life. Those who’ve seen the film will know what I’m talking about. Andy- Going into the event, a lot of friends who attended the preview night said that this was the best maze of the event, so I went in with some high expectations. I’ll tell you, I wasn’t disappointed. Universal took their own approach with the story and brought these two juggernauts of horror together into one epic show down. I felt the maze was fantastic. The story was compelling; the maze itself was perfectly dressed with some amazing scenes to walk through. Most of all, it was the only maze of the night to get a few scares out of me, which is rather difficult to do. Most of all, it did both Freddy and Jason justice. Lola- The Freddy Vs. Jason maze is pretty damn cool. While quite a bit of it is stuff fans have seen before, there were a few unique touches that helped elevate it to a new level. Unlike Andy, though, I didn’t necessarily feel that they hit all of their story beats. That is to say I didn’t feel the story they were trying to convey was mapped out quite as well as it could’ve been. Still, it’s worth the wait. I like that they have alternate endings, depending on the night you attend. Some nights Freddy wins, and some nights Jason comes out on top. Andy- Let me just start off by saying that this is by far my favorite maze of all time. The maze looked beautiful. The scares were great and it continued to tell the story of Michael Myers. Some of the rooms used the glow in the dark effects brilliantly. It really set a new standard for mazes. What blew me away were the giant pumpkin rooms we walked through. We were literally inside giant pumpkins! It was my favorite thing ever. Lola- I have to agree with Andy, this maze is probably the best thing I’ve ever seen at HHN. I can’t add much more than that. My favorite part of the maze is the black out room with multiple glow in the dark pumpkin masks. Some are props and some are actors. The actors jump out at you as you walk past. This is what I think Horror Nights does best, it uses a movie a springboard, to create something entirely new, but still resembles the original film or films. Andy- Now this maze obviously differs from Walking Dead mazes of the past as it is now year-round. Obviously, this maze had the most attention to detail as it is permanent, which definitely keeps you in awe. There were times when I thought I was really on the TV show, which was fantastic. The performers were top notch and on point. My only complaint is that I feel that the walk-through was way too short, especially for something that’s a year-round attraction. Lola- I love The Walking Dead, and it was such a treat to be able to see the show come to life like this. I’ll agree with Andy, that the attraction felt a bit short, especially considering how much material TWD has to pick from. However, it’s still a near perfect depiction of what life is like amongst walkers. Those who’ve been through HHN’s previous Walking Dead mazes will probably recognize some props and ideas, but it’s been revamped enough that it still feels like a completely new experience. Consider this year-round haunt to be a love letter to walker fans, everywhere. Andy- Due to the extreme wait times for the mazes, we were unable to get into these mazes before the event was over for the night. Wait times were averaging three hours, and with the park being sold out, we couldn’t hit up all the mazes. Lola- The fact that we weren’t able to see three mazes pissed me off. If you have to spend the kind of money HHN is asking for then I think you should be able to see all of the attractions. Now with that being said, I wrote to Horror Nights to tell them I was upset, and they were surprisingly reasonable. They offered me a comp ticket, so I plan to return and go through these mazes. Andy- I’m not a huge dance fan and with the long wait times for the evening, we opted not to see The Jabbawockeez show. Lola- Unlike Andy, I am a huge dance fan. I danced almost every style for several years, but the time constraints just didn’t allow enough time to check out the show. Andy- From an artistic, design and performance standpoint, and from what attractions we saw, this was easily one of the best HHNs in years. Each maze was enjoyable and they were fun. From operational standpoint, this one of the worst I’ve seen. Three hours is way too long to wait for a maze, let alone most of the mazes. Universal needs to either lower the number of people allowed in to HHN each night or add additional attractions. There were just too many people, which resulted in a less enjoyable evening. I understand Universal is trying to make money, but at some point, there is a huge loss in quality. It is also our understanding that in an attempt to correct this issue, Universal has started to do early entry earlier to reduce overall wait times. So hopefully, future HHNs will run a little better. Lola- I’ve had a love/hate affair with HHN for years. With the exception of the Terror Tram, most of the mazes were high quality. Of course, I’ve yet to see three of them. The mazes seemed more creative this year than in the past. Still, 3 hour wait times can sure spoil anyone’s Halloween fun. The ticket prices and the wait times seem to go up every year. I must say, though it seems like Horror Nights is starting to take steps to correct some of this nonsense. I was impressed by their speedy response to my complaints. Also, I guess early entry has been moved up to 5PM. Hopefully, this helps make the HHN run in a more efficient manner. Universal’s Halloween Horror Nights runs select nights throughout October and the first week of November. Visit www.halloweenhorrornights.com for event info and to buy tickets. We do recommend buying tickets ASAP as the event has sold out almost every night of the run so far. We also recommend getting their early and doing early entry as wait times are long. 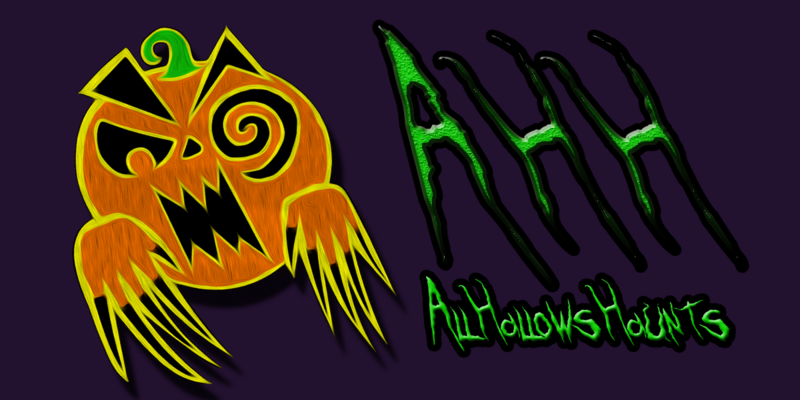 Be sure to follow All Hallows’ Haunts here and on twitter-@HallowsHaunts, for more information of Halloween, Horror and Haunt events in Southern California.